The Horton Group announced today that Dan Horton, Chief Sales and Marketing Officer, was selected by the board of directors to assume the role of President effective January 1, 2018, and will continue to serve as Chief Sales Officer. In this position, Dan will be responsible for all insurance sales and client service operations. Leading the agency in this next chapter is both humbling and exciting; especially on the cusp of greater disruption in insurance. My focus is to accelerate our innovation and ensure the execution that our clients need from us. With nearly fifteen years in insurance, Dan’s career almost took a very different trajectory. Before joining Horton in 2005 on a part-time basis, Dan was pursuing a career in aviation as a pilot. Today, Horton is a nationally recognized insurance broker ranking as the 39th largest insurance brokers in the U.S. by Insurance Journal. The agency employs nearly 400 insurance professionals located in 13 offices throughout the Midwest and is a recognized leader in insurance, employee benefits, and risk advisory solutions. Glenn, the Board of Directors and the agency team are more than confident in this new step. As leaders in the insurance, employee benefit and risk advisory solutions for middle-market companies, the Horton Group has seen how companies are unprepared to successfully pass on their business to the future. Horton is not only prepared for what it has in store for it today but more importantly, for its future. 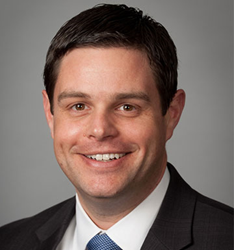 Dan Horton earned a Bachelor of Science from Purdue University in Professional Flight Technology, and Masters in Business Administration from the University of Wisconsin-Madison. Dan has also accumulated many insurance certificates and designations including Certificate of General Insurance, Construction Risk and Insurance Specialist (CRIS) and Certified Risk Managers (CRM). Dan resides in Chicago’s south suburbs with his wife and two young children. Soon after joining Horton, Dan moved into a sales role in the Milwaukee, Wisconsin branch and quickly earned a promotion by becoming a Vice President in Horton’s Risk Advisory Solutions department. By 2013, Dan was named Construction Practice Group Leader, doubling the agency’s revenue, while building a team dedicated to the sales and service of one of the agency’s largest practices. In 2014, Dan spearheaded the agency’s rebranding as Chief Marketing Officer where he oversaw strategic marketing, brand awareness, sales enablement and joined the executive leadership team. Over these years, the agency doubled in size, and by 2016, there was a need to bring all the departments together, and Dan was promoted to Chief Sales Officer.